A story of human wildlife coexistence. The Bow Valley is the busiest place in the world where people and grizzly bears still coexist. 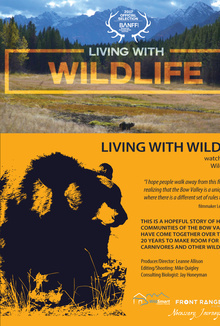 'Living with Wildlife' is the story of how communities in the Bow Valley of Alberta, Canada have come together over the past 20 years to live with grizzly bears and other wildlife.